This past weekend was a bittersweet one for us as we face some major and unwanted changes in Halkett Bay. As we watched the seals in the bay I wondered what was in store for them in the days ahead, For some time we have been fighting against the sinking of a warship which is being touted as an ecological and economic boost to the area. However the more I read about artificial reefs the more convinced I am that, in this case at least, this is a bad idea. Recently the US government has put a stop to using ships of this era to create artificial reefs. In one case, fish in the area of a dumped ship saw an over 1000 percent increase in PCB levels. Proponents of this reef say that it will remediate a site which has been damaged by years of log booms, and while this area has been a booming ground, that's not the side if the bay they're planning to sink the ship on. I think what makes me angriest about all of this is that it is being done under the guise of 'enhancing' the natural habitat while little to no study has gone in to making sure this is actually the case. I know I have talked to several divers who assure me that artificial reefs are teeming with life but just like seagulls or bears at a dump, that doesn't reassure me that we've created a healthy eco-system. The explosion from the sinking will likely kill nearby seals in the area and recent changes in environmental regulations pushed through in the latest budget mean that a thorough environmental assessment won't be required either. So how big an impact this 'eco-tourism' project will actually have may not be known for years to come. I've created a blog about some of the information I've gathered, you can find it here www.artificialreefsrealconcerns.blogspot.ca. 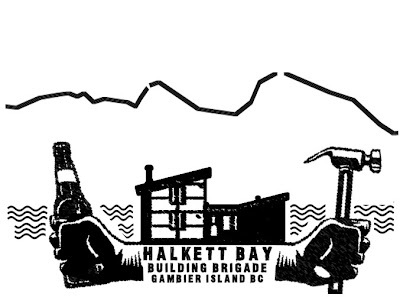 There is also the savehalkettbay.com website.